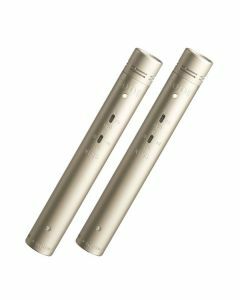 Like the NT5, the RODE NT55 is a small-diaphragm, true-condenser cardioid microphone, sometimes referred to as a 'pencil mic'. The NT55 adds both a three position pad (0, -10dB, -20dB) and three stage high pass filter (Off, 75Hz, 150Hz), and includes the interchangeable NT45-O omnidirectional capsule. The NT55 is designed and made in Australia, and covered by RODE's industry leading 10 year warranty.